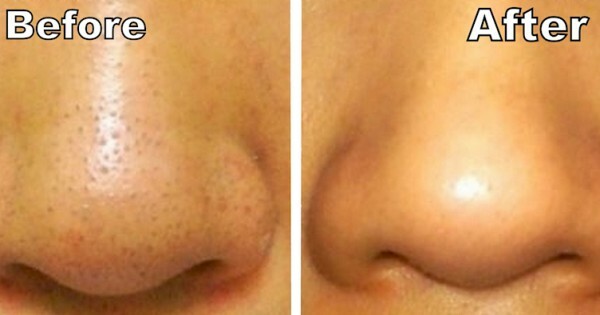 Remove Blackheads With These Easy Steps, Brilliant! Every 3rd person in the world is disturbed of one of the most annoying yet common thing on their face, the black heads. These little black spots which occur mainly on your nose are very annoying when it comes to altering your looks in all the negative way down the lane. But do not be spooked to see them every night before you sleep and feel bad about yourself, instead follow these easy steps and get rid of them quickly at home itself. Boil water till it becomes heavy with the steam and then take at least a 5 minute steam facial using a towel as a covering. Now take a doctor tape or any normal cello tape and apply it on your nose where the black heads are, and keep it for a minute or so. Now, remove it with a blow and all the blackheads get removed with it.